Former Mac DeMarco associate Peter Sagar is set to return under his Homeshake moniker to follow up last year's In the Shower. His latest LP Midnight Snack is set to arrive at the end of summer, but before it lands, he's shared a new clip for album cut "Give It to Me." The slow-paced, but summery, slacker rock jam gets paired with some suitably seasonal visuals. 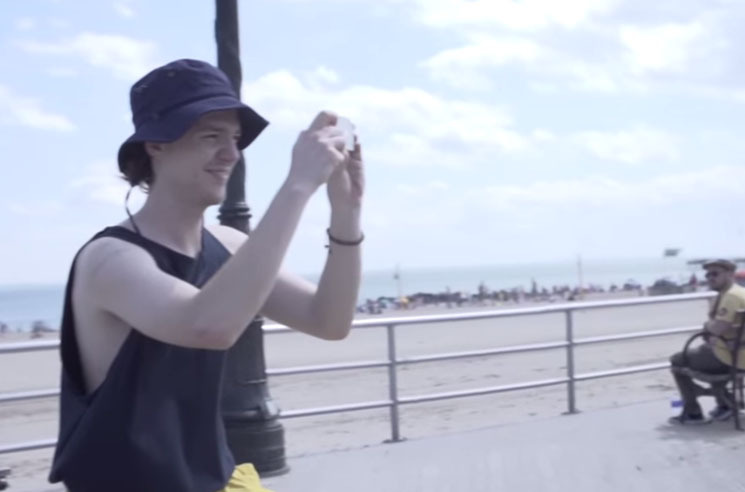 After opening with shots of some greedy looking of seagulls on the sea shore, we get to see a gang of pals enjoying a day at Coney Island. Puke-inducing rides, strolls on the boardwalk and some midway game romance all make it in to the final cut, and you can give it a watch below. Midnight Snack is officially out on September 18 via Sinderlyn.